We all get full-color Postcards in our mailboxes frequently, which is a testament to their widespread use and success. In fact, promotional Postcards are one of the most cost-effective ways to get your marketing message to a targeted audience. Whether used to introduce a new product or service, promote a special offer, or as part of an ongoing campaign, your colorful marketing message will virtually leap out from your prospects' regular mail. 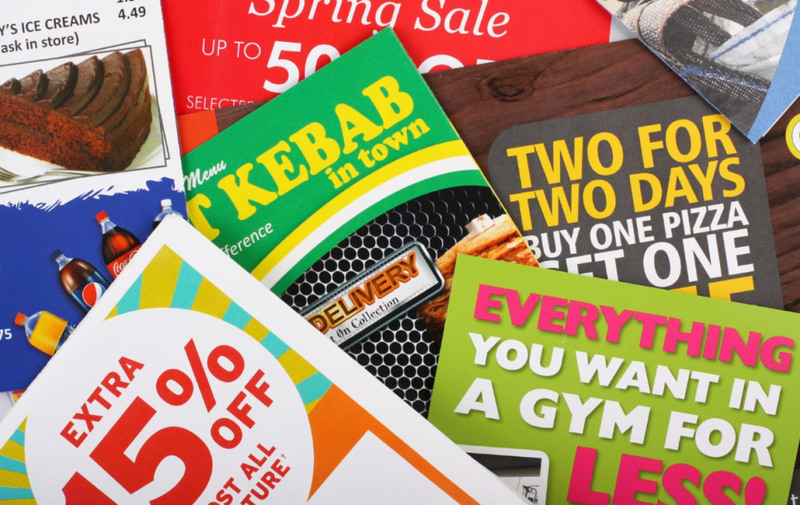 So, if you are looking for a proven way to reach prospective customers, encourage existing customers to buy more, or persuade former customers to deal with you again, a Postcard Campaign is by far the best direct-marketing value you will ever find. Free Postcard Advice – Have questions? Looking for additional money saving ideas? Not sure which size or paper stock to use? We can help! Professional Layout Services – If you have your own artwork, that’s great. But if not, we can help transform your thoughts and ideas into an attention-grabbing design! If you can provide the general layout, we can create the print-ready artwork. List Assistance – we can use your current mailing list(s) or assist you with a new list based upon geographic area, client demographics, or other criteria of your choosing! Printing and Mailing Services – we’ve been helping people just like you for over 30 years, so we're always happy to explain your printing and mailing options to help you decide what’s right for you! Postcards are Affordable – Postcards offer high-quality marketing for a very low investment. In fact, a postcard is one of the most cost-effective forms of targeted marketing available. Postcards are Measurable – The effectiveness of a postcard campaign is easy to track. You know exactly how many postcards were mailed out and exactly how many new inquiries, leads, and/or sales were generated. Postcards are Versatile – Postcards are as versatile as your imagination. They can be used to introduce new products and services, announce a sale or special offer, invite people to a tradeshow, seminar or event, drive traffic to a website, serve as a coupon. Postcards are Efficient – Unlike other forms of direct mail, postcards aren’t hidden within an envelope or packet. This allows the recipient to clearly see your offer while sorting through the day’s mail. Postcards are High-Impact – A postcard isn’t a multi-page document or lengthy brochure, it is a single piece of cardstock. By design, the message conveyed on a postcard gets right to the point. Postcards are Tangible – Postcards arrive to your audience in physical form. By contrast, a promotional email only exists in an intangible, electronic form. Postcards, on the other hand, are almost guaranteed to be held, touched, and seen by the recipients. Postcards are Quick to Launch – Because postcards are relatively straight-forward, they do not take as long for a talented graphic artist to create. Postcards are also relatively quick to print and need no special preparation for mailing. Postcards are Perfect for Target Marketing – By designing your postcard and offer toward a well-defined and specific target audience, your marketing efforts become much more effective. Postcards are Stealthy – Sometimes you don’t want your competition to know about your offers and promotional ideas. When you promote with direct-mail postcards, your marketing message is seen only by those you intend to see it. Postcards are Proven – Postcards have been around since the days of the Pony Express. They are a proven method of communication. Chances are you receive promotional postcards in your mailbox almost daily. Why? Because Postcards Work!